Condominium Management Authority has to be reorganized to serve the Condominium Owners and the Industry. Buying a new Condo or a Condominium under construction has so many aspects to be carefully considered. Condominiums are supposed to be ideal for people who like hassle free living. This has become a myth according to some condo owners. Those who did sell their single family homes to move into condominiums are now unhappy as they say there are no regulations in the Condominium Act to protect their investment and lifestyle. With neighbour disputes, crazy restrictions and incompetent boards, condo dwellers are increasingly finding themselves faced with many problems. Owning a condo usually means sharing your walls, floors and ceilings with your neighbours. Some condos are rife with internal politics, neighbour infighting and power struggles stemming from the complicated network of condo boards, owners, investors, tenants and property managers. Many of the people who get elected to the boards have time on their hands, and this is the only place in their world where they have power. Unfortunately, that starts to go to their heads. They act like kings and dictators. This has to be addressed by a new Condo Act together with many other issues to protect the interest of the owners and the industry. Unfortunately, the Condominium Management Authority has not resolved any of their problems. They say there is a long delay of several months even to get a reply from the Condominium Management Authority. This is a very serious concern and can affect the Condominium Industry as a whole. Some owners have written to the Ministry as well and in the last few years and nothing has been done. There are many high rise residential condominiums coming up in the city and the suburbs today. Some of the luxury condominiums built and sold in the recent past have already encountered major problems. As a result owners are completely dissatisfied with their present situation after spending between Rs. 20 to 60 million. They did anticipate a hassle free living when they decided to move into a condominium having sold their single family home. This has turned out to be a nightmare. Condominium is not just a high rise building. These high rise multi storey skyscrapers look very impressive from outside. Builders and developers think their role is to build the structure with “quality construction”. When 51% of the units are sold, a Condominium Corporation can be set up and hand it over to the unit owners for management of every aspect of the building and deal with the multiple owners. The real problems have started after the many owners moved in to units without any idea of condominium living. They have very little knowledge of the condominium concept and how the Condominium Complex is managed. Some owners are selfish, ignorant, lethargic and do not want to participate in running of the complex, where they have the ownership of one unit and share common elements. They do not know even the purpose of having a Reserve Fund and Sinking Fund. In some complexes, the Builder and Developer has palmed over his employees to the newly formed Condominium Corporation. This is not the way it should be done. The newly appointed Condominium Corporation or Council must terminate all contracts of employees appointed by the Builder and Developer at the end of the first year. These people appointed by the builder and developer literally run the Condominium Complexes like dictators. There are so many complaints received by the writer and some are really serious and detrimental to the owners’ interests. As a result many people will be reluctant to buy any kind of condominium though they can be brand new luxury units. All prospective buyers should be educated about the concept and their role they have to play as long as they own the unit. Hassle free living is just a myth. Some In-house builders’ / developers’ sales representatives do not have a proper knowledge to sell Condominiums, this is not like selling a single family home or a parcel of land. 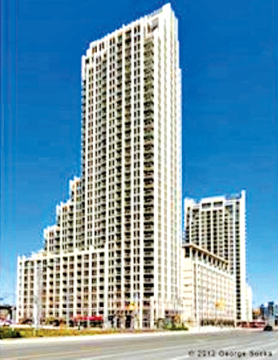 Toronto Canada has one of the most vibrant sophisticated Red Hot condominium markets. According to the latest information the Red Hot market has Red Hot problems too. Now the authorities have realized the gravity of these problems are so deep, the issues cannot be resolved without serious repercussions to the owners. However they have introduced amendments to the Condominium Act with the intention of sorting out these serious problems for the sake of the future of the industry. An advisory group of experts in the condo sector must help the ministry understand the issues and advise on the process in general. This advisory group is not a decision-making body. Its goal has to have residents and business experts work together to identify issues and develop recommendations to modernize the Condominium Act. Condo owners, residents, developers, property managers and other stakeholders must take part in this process of modernization of the Condo Act. Setting up a Condominium Owners Association is necessary now to deal with the above through the new condo act. The new association should work with the Ministry of Consumer Services for protection and dispute settlements of condo owners. The Condominium Corporations have to be self regulated. But it has failed in almost every country, the new Condo Act should introduce new measures through the Ministry of Consumer Services and Affairs. Failing to do will affect the Condominium Industry seriously and buyers will always have second thoughts when buying a condominium. The Condo owners must be prepared to pay a small amount to run this association and obtain benefits from it. Silence is not an option to Condo owners. They should participate in running a complex and be involved. The Reserve Fund / Sinking Fund is the most important part of a Condominium. After all it is the unit owners’ money and doesn’t belong to anybody else. Therefore it has to be spent carefully and there should be transparency in respect of how this money is utilized. There have been many cases of mismanagement and even fraud in Condominium Councils in respect of spending the Reserve Fund. Some of these fraudulent activities take place right under the nose of condo owners and they don’t even know about it !! Reserve Fund is like a savings account or insurance policy for special expenditures that may come up in the future. In some countries, condos have to have a Reserve Fund in a bank account, that is separate from the general budget account. All monies in this account have to be placed in easily accessible and safe investments, such as government bonds and not in the stock market or any other risky ventures.